Selecting the best nursing school in Nevada can be difficult. To make the process easier first look for a school that supports students towards licensure and beyond. A great way to measure this is through NCLEX-RN "pass rates." We have ranked the top 5 nursing schools in Nevada by analyzing current and historical NCLEX-RN "pass rates", meaning the percentage of graduates who pass the exam, out of the 12 RN programs in the state. Programs reviewed include schools that offer an Associate in Nursing (ADN/ASN), BSN, or Direct-Entry MSN Degree. If you are looking for a rewarding and lucrative career in healthcare, look no further than registered nursing in the state of Nevada. Not only are nurses in demand in the state, but they are paid handsomely as well. The Bureau of Labor Statistics reports the average salary of a registered nurse in Nevada at $81,460. In fact, a recent analysis conducted by WalletHub found that Nevada has the highest annual nursing salary (adjusted for cost of living). With a variety of nursing programs offered at schools in the state, becoming a registered nurse in Nevada couldn't be easier. If you're not sure what kind of nursing degree to pursue, a good place to start is with an Associate's Degree in Nursing (ADN). This 2-year program will prepare you for a variety of nursing jobs and is one of the quickest ways to earn your education. Plus, this program is often available at junior and/or technical colleges, making it a very accessible option no matter where you are located. Over 5 schools in Nevada offer a board-approved and accredited ADN program. Accreditation from respected industry associations provides credibility for schools and programs. Look for accreditation from national organizations like the Commission for Education in Nursing (ACEN) and/or the American Association of Colleges of Nursing's Commission on Collegiate Nursing Education (CCNE), among others. You should also be sure that your preferred program is approved locally by the Nevada State Board of Nursing. In order to receive your RN license, you will need to take and pass the National Council Licensure Examination (NCLEX) for registered nursing upon completion of your ADN. To ensure that the program you choose will fully prepare you for the NCLEX-RN, peruse their curriculum and even contact the nursing faculty. You'll want the best possible chance of passing this important exam. The American Association of Colleges of Nursing reported that 90.1% of new nurse grads passed the NCLEX in Nevada in 2015. An example of a school offering a properly accredited ADN program in Nevada is Truckee Meadows Community College, located in Reno. One of the reasons ADN programs have soared in popularity is their affordability. However, you will need to be prepared to pay for a variety of expenses, including tuition, as well as other mandatory fees such as books, transportation, uniforms and the like. Many students qualify for scholarships and/or financial aid, so be sure to contact your prospective school to see what may be available for you if needed. To provide an example on cost, the associate degree program through Western Nevada College in Carson City charges students $90 per credit for their program, plus applicable fees. An ADN program offers numerous advantages over longer, more traditional nursing programs. The first is the shortened length; the 2-year program is especially ideal for those wanting to start earning a salary as a nurse as quickly as possible. The second is the accessibility of the program at a variety of smaller institutions, making class sizes generally smaller and coursework more interactive compared to larger schools. Lastly, due to the short time-frame and availability at smaller schools, an AND tends to also be a bit more affordable than other nursing programs. Some registered nurses start out as Licensed Practical Nurses (LPNs). In this circumstance, LPNs can enroll in a specialty LPN to RN bridge program, which allows them to advance to the registered nursing path in an accelerated amount of time. The curriculum builds upon the LPNs prior training and knowledge, preparing them for the NCLEX-RN examination. There are typically two choices an LPN has when going for an RN bridge program: the ADN or the BSN. In Nevada, students can opt for the College of Southern Nevada's LPN to ADN program, which takes just 3 semesters to complete. While there are currently no on-campus LPN to BSN programs in the state, national online options are usually available, with the student completing clinical requirements at an area healthcare facility or hospital. A Bachelor's of Science in Nursing (BSN) is typically what people think of when they hear the words "nursing school". This traditional, 4-year degree is offered at larger universities in more urban areas. Increasingly, schools are offering alternatives to the traditional BSN, including the accelerated BSN as well as the RN to BSN. Nevada offers roughly 5 schools throughout the state with accredited and approved BSN programs. It's important to vet schools and BSN programs in your area to ensure that you choose one of high quality. Things like cost, location, and accreditation should be top considerations. If you already hold a bachelor's degree in another subject and want to pursue a nursing degree, you will want to look for a school that offers an accelerated BSN program. Additionally, if you are already a registered nurse looking to advance your career with a BSN, be sure to identify a school with a good RN to BSN program. The University of Nevada, Reno is one example of a school that offers a fully accredited program in the state. For a standard, pre-licensure BSN program, 4 years is the typical length. Your education will consist of a mix of general education courses and more specific nursing courses. The accelerated BSN, designed for those who already have a degree and are working toward nursing as a second career, can take as little as 15 months. Lastly, RN to BSN programs in the state usually take 1-2 years to complete, depending on the prior nursing coursework taken. BSN program costs can fluctuate wildly depending on the school, the type of BSN program you choose, and a variety of other factors. You will need to account for tuition, fees, and other indirect costs like textbooks, lab fees, and more. It's also good to keep in mind that in-state tuition tends to be lower than out-of-state tuition. As an example, the cost of tuition for the BSN program at Nevada State College in Henderson is approximately $16,758 for Nevada residents. This doesn't include additional mandatory fees like books (estimated at $2,000), uniforms (estimated at $300), lab fees (estimated at $300 per semester) and more. For those who want a traditional college experience and are certain they want to achieve higher career levels in registered nursing, a BSN is ideal. Jobs in areas like emergency medicine, healthcare education, pediatrics, and more are all attainable with a BSN degree. Because there are alternative degree options like the accelerated program and the RN to BSN program, it's a realistic education to acquire at any stage in your life. One of the most advanced forms of nursing education, a Master's of Science in Nursing degree (MSN) is a popular option available in the state. This program is geared toward RNs who want to reach new heights in their careers, and is the next step beyond a BSN. Jobs such as Clinical Nurse Specialist, Certified Nurse Midwife, Nurse Practitioner, and other specialties all require an MSN. Over 3 schools in the state offer a properly accredited MSN program. MSN programs tend to be 2-3 years in length from start to finish. They are designed to fit around the schedules of busy working registered nurses, so the time-frame can vary depending on how much time you spend on coursework. Sometimes prior nursing credits can be applied towards the degree, but this will depend on the program you choose. MSN programs can be quite costly, although the potential for a higher annual salary than most registered nurses with lower degrees can more than make up for it. Tuition will be a big expense, but indirect mandatory costs like books, labs, and transportation should also be considered. To provide an idea on cost, the MSN program at the University of Nevada, Las Vegas costs $269 per credit, not including differential fees for select courses or any other fees. 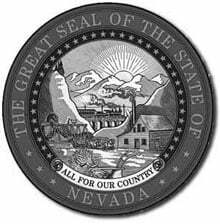 Nevada State Board of Nursing has clear cut requirements to apply for licensure by either examination or endorsement. Future employers see the added benefit of having a degree in nursing and would encourage candidates to pursue a BSN or higher. There are accelerated programs at a few different colleges in the state that can provide what candidates need to meet the preference. Taking 12 to 18 months to complete an accelerated program could be the hand up you need to obtain your career goals. Full-time commitment is required because the program is quite intense and does not recommend working outside of the clinical hours required for completion. Eligibility and tuition can vary greatly depending on which program you choose. Great Basin College in Elko, Nevada is home to an excellent program of nursing. GBC graduates are evidence-based thinkers who use their findings to remain competent and insightful in a contemporary clinical environment. Visit the Great Basin College nursing website to learn more. University of Nevada - Las Vegas has an acclaimed college of nursing. With both BSN and MSN tracks, UNLV nursing graduates join the workforce with a strong demonstration of professional accountability, intellectual curiosity and motivation to lifelong learning. Follow the link to learn more about the University of Nevada - Las Vegas nursing program. Western Nevada College is located in the state's capital city of Carson City. With an excellent nursing program, nursing educators adeptly guide students toward effective communication, accountability, and clinical knowledge so that graduates easily fill the gaps in area nursing care. Get all the program details by visiting the Western Nevada College website. Nevada State College in Henderson, Nevada produces exemplary nursing graduates. With flexible offerings, graduates join the workforce and maximize health care for diverse and sometimes vulnerable patients, families and communities. Get all the program details by visiting the Nevada State College website. The University of Nevada, Reno offers students an accredited BSN pathway toward registered nursing. The Orvis School of Nursing admits 64 students to the nursing major each fall and spring, and graduates of the program are eligible for entry-level nursing positions in a variety of healthcare settings. Get all the program details by visiting the University of Nevada - Reno website.